Hello! I GOT A NEW CAMERA! It's the Nikon D3200 DSLR, I am in love with it, I'm really enjoying exploring all the different features it has. I hope you like my pictures in this post, I am sure they will get better as time goes on, once I suss out the different aspects of my camera! I have been loving using this RT brush. I haven't used any other RT brushes apart from the eyeshadow ones so this was brand new for me. I'm so so impressed! 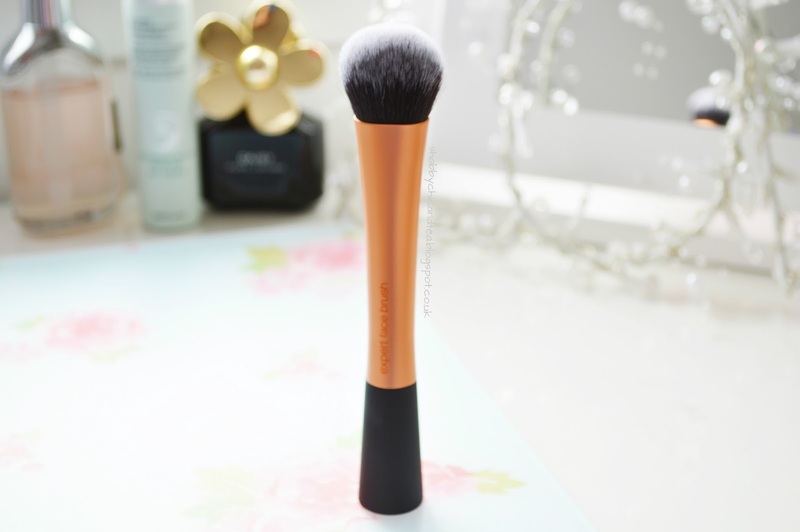 I usually use Cosmopolitan's beauty blender (review here) to apply and blend out my foundation, so I wasn't too sure how I would get on with a brush again. I used to use stippling brushes but I hated the finish they give my makeup, I always seem to have loads of brush strokes left on my face which need blended in with a beauty blender and I find they make my foundation cakey. However because this brush has such dense bristles it manages to pack on all the colour I need and buff out my foundation flawlessly onto my skin. I am so impressed with it, none of the bristles fall out and it leaves my skin looking 'real' and smooth. If you haven't tried this brush then I highly recommend you do! Its amazing! I use this brush for under my eye and it works amazingly. It gives me such a flawless look. I only used the use the RT face brush for my foundation and i loved it! Im looking to slowly replace all my make up brushes with these RT! they are amazing quality and aren't pricey either!